25 05 2009 - Facebook expressed disappointment over the ban. Iran has blocked access to social networking site Facebook ahead of June's presidential elections, Iran's Ilna news agency and web users say. Ilna says the move is aimed at stopping supporters of reformist candidate Mir Hossein Mousavi from using the site for his campaign. 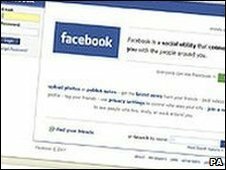 Facebook, which says it has 175m users worldwide, expressed its disappointment over the reported ban. So far there has been no comment from the Tehran authorities. "Access to the Facebook site was prohibited several days ahead of the presidential elections," Ilna reported. It said that "according to certain Internet surfers, the site was banned because supporters of Mir Hossein Mousavi were using Facebook to better disseminate the candidate's positions". CNN staff in Tehran reported that people attempting to visit the site received a message in Farsi that said: "Access to this site is not possible." Facebook expressed disappointment that its site was apparently blocked in Iran "at a time when voters are turning to the Internet as a source of information about election candidates and their positions". 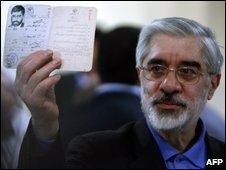 Mir Hossein Mousavi, a former prime minister, is seen as one of the leading challengers to incumbent President Mahmoud Ahmadinejad in the 12 June elections. His page on Facebook has more than 5,000 supporters.